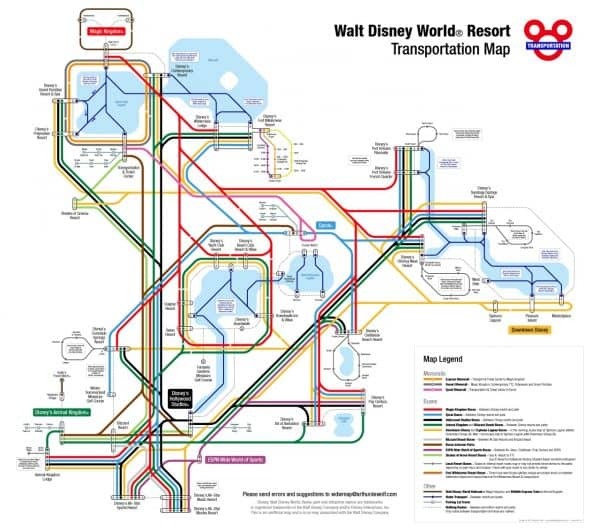 One of the things I really didn't understand before our first Disney World trip was how to navigate using the Disney World transportation. This led to some big frustration as I tried to figure out how to get back to our hotel from our dinner at another hotel. I want to keep you from having similar issues, so today I'm going to try to break it down. Buses will take you just about anywhere, with monorail and ferries being options in some locations. Minnie Vans are a premium service (they cost a flat rate of $15/ride plus an additional cost per mile ) and are about as close to door-to-door service as you can get at a theme park. Minnie Vans are now available everywhere and anybody can use them (not just Walt Disney World Resort guests). Outside of Disney World transportation, you can obviously drive but you can also make use of taxis/Uber. People staying at Value and Moderate resorts currently only have the option of taking buses to the theme parks. After the Disney Skyliner gondolas are completed, guests at Caribbean Beach, Art of Animation, and Pop Century will also have that as an option for travel to Epcot and Hollywood Studios. Magic Kingdom resorts can take the monorail or boats to Magic Kingdom, monorail to Epcot, and buses to the other parks (guests at The Contemporary can also walk to MK). Boardwalk resorts (Boardwalk, Yacht Club, Beach Club, Swan, & Dolphin) can take a Friendship or walk to Epcot and Hollywood Studios. Buses are available to the other parks. All other Deluxe resort guests will take buses to theme parks. Traveling from resort to resort is one of the most difficult things to figure out at Disney World. I've often considered making a dining reservation at a hotel, but changed my mind once I thought about getting to and from the restaurant. The quickest way to get between resorts is often by taxi/Uber. I don't think taxis are used enough at Disney World. It doesn't usually cost more than $10 or $15 for a taxi (less for an Uber) and can get you to your destination within a few minutes (use the Mears taxi fare estimator for a closer estimate). Disney's Minnie Vans are also an option for a $15 flat rate plus additional cost per mile. If you're using Disney's free transportation, a good general rule is to get to the theme park closest to the destination resort and catch a bus or monorail from there to your destination resort. For example, if you're at Pop Century and need to get to The Grand Floridian, you'd want to take a bus to Magic Kingdom and then take the monorail to The Grand Floridian. Another example: if you're at Port Orleans Riverside and need to get to Animal Kingdom Lodge, you could take a bus to Animal Kingdom and then catch a bus over to Animal Kingdom Lodge. Disney World Cast Members will likely suggest going to Disney Springs and connecting there, but going to the nearest theme park usually makes much more sense. All 4 parks have transportation available to allow you to hop to another park. Getting to Ft. Wilderness - many people need to get to Ft. Wilderness for various activities, including the popular Hoop-Dee-Doo Musical Revue show. My previous advice to go to a theme park and catch a bus to your destination resort will work here, but there is also a boat from Magic Kingdom that you might want to take. If you are short on time, we also recommend taking a Minnie Van as this service drops you off extremely close to Pioneer Hall (which is where Hoop-Dee-Doo is located). View from outside the park so you're not caught in the crowds at all. This mainly works at Magic Kingdom where you can view fireworks from one of the beaches at the monorail resorts. It doesn't work as well at the other nighttime shows. There are no buses from Disney Springs to the theme parks. Resort guests can get directly to theme parks or Disney Springs, and you can travel to Disney Springs from the theme parks after 4 p.m., but people wanting to park for free in Disney Springs and go to the theme parks will not be able to do that. Early-morning breakfast reservations - Have an early morning breakfast reservations and concerned how to get there? Read my article on character meals for info on how to do that. Disney World has started including navigational information in the My Disney Experience app, but it's confusing and often completely incorrect, so we made our own! Select starting/ending points below for tips on how to navigate between Disney World locations. Allow up to an hour each way to get between resorts and theme parks (up to 90 minutes to get between resorts), with each trip leg taking 10-20 minutes once you're en route. Get a Mears taxi for about $10-15 for most on-site routes, but use the Mears taxi estimator for a more exact quote. They have an app or you can call 407-422-2222. Need car seats? Disney's Minnie Vans might be the best solution. They cost a flat fee of $15/ride plus an additional cost per mile. Or use Uber for about $8-10 for most on-site routes. Use code "shannona9" to get your first ride free. Here's another option: open this tool on its own page to easily reference it anytime. You might also consider going to that link on your phone and adding it to your home screen to pull it up easily during your trip. Here's a fantastically awesome transportation map from http://www.wdwfocus.com/map/ (click to enlarge) that you might like as a handy reference. I bought a print of it that hangs in my office. Have you tried out one of the Disney World transportation options? Leave a comments below and tell us how it went! If we have a 7:30 a.m. reservation at Chef Mickey’s, can we drive and park our vehicle at Contemporary, monorail to Epcot and back during the day, and then drive our vehicle back to our All Star Music Resort all for Free? We made our reservation early enough that we don’t have to pay overnight parking, and I think day parking at the resort is free with a dining reservation. Is that all correct? You said “…but people wanting to park for free in Disney Springs and go to the theme parks will not be able to do that.” Well, we travel ALL the time for free from Disney Springs (I still say “Downtown Disney”) but you do need to add a small step to the process. We park for free in Disney Springs then grab a resort bus to the nearest resorts (Contemporary, Polynesian, Bay Lake or Grand Floridian, and sometimes Old Key West if that bus is about to leave Disney Springs). Then upon arriving at the resort we go straight to the monorail or next bus leaving for the desired park. It’s that simple and really does not add that much time to the traveling. And, as you pointed out, we can grab a bus from any park to Disney Springs in after 4 pm, which for us is always after that time – and we actually like to end our day at Downtown Disney. Thus, we stay off grounds and NEVER pay for parking. Hope this helps everyone! This awesome to know, we’re staying at a hotel across from Disney Springs and I Was worried about getting into the parks. Really, really grateful for the amazing navigation source for traveling around the Disney property! I’ve been all over the net trying to find this info, including the disappointing Disney website – to no avail! WDW Prep School, you are a major life saver. BIG thanks!! This article contains everything I was hoping to find about going from one place to another using Disney’s transportation system. Thanks a lot for it. This article helped more than you know! Do you have a chart that gives the estimates of when the buses for each park start running in the morning? Do they all usually start around 630/7 am? The Navigator…sigh! You have everything covered Shannon! My question is… Epcot to Contemporary for Chef Mickey at lunch: Navigator said E> TTC> Resort monorail…… would E> TTC> MK> walk to Contemporary be any faster? Thanks a million times over!! I have Early Magic Hour privileges and a hopper pass, so I was thinking that I’d take advantage of the Magic Hour until a bit after the park opened and then goto a non-Magic Hour park to avoid the post-Magic Hour crowds. But reading your post and considering travel time between parks, it may not be worth it. Animal Kingdom on Monday, Epcot on Thursday, MK on Friday . For example, Would it wind up being a waste of time/effort to start our day on Monday at Animal Kingdom, until 9:15 AM or so, and then spend the rest of the day at Hollywood Studios.? Then on Thursday start the Day at Epcot, stay there until 9:15/9:30 AM, then head to MK? Etc. Etc. Thoughts? Recommendations? We have a 7:50am breakfast reservation at Bon Voyage (on the Boardwalk). We do have park tickets to Epcot that day as well. We are staying at AoA. What time should we leave AoA to get there in time and what is the best way to get there using Disney transportation? There really isn’t an easy way to get between those resorts. You could take a bus to MK or HS and then go from MK or HS to the Boardwalk, but that might take up to 90 minutes (and buses to MK start running between 6:30 and 7 usually). I would highly recommend a taxi or Uber. That will only take a few minutes to get there and usually cost a max of $10 or so. My husband, son, and dad are not going with us. Would they be able to take us to the Boardwalk and drop us off that morning? Is the express bus service still available? I had heard it wasn’t and was hoping to use in april. No, it’s not still available, unfortunately. My daughter has an appointment at the Bibbity Bobbity Boutique in Disney Springs @9:40 and we will be meeting the rest of our family in Epcot for a 1:30 character meal. What is the quickest way to get from Disney Springs to Epcot? We are staying off of Disney property. Will you have a car since you’re staying offsite? If you will, it would probably be easiest to just drive from Disney Springs to Epcot. If you try and take buses you’ll have to go back to Disney Springs at the end of the day to go get your car. It should only be a 15 minute drive. If not, you can take the bus from Disney Springs to the Beach Club resort and then walk through the International Gateway into the back side of Epcot. That makes sense to get a tax to travel between resorts. I’m sure it’s really hard to navigate on your own with a car. I’m planning a vacation to disney since the kids are old enough to get something out of it now. There are 6 of us traveling together. Is it easy to get a minivan taxi/Uber? You are awesome. I love following you on Pinterest and many of my Disney ‘saves’ are from you! Thank you for providing such informative, easy to follow, and pertinent information! Hi, I am staying at the All Stars Movie Resort in Spetember. Is there a way to get to Disney Springs? Or would it be betterto use a cab or uber? There are buses from your resort to Disney Springs. Taxi/uber is also an option, but totally optional. I am wondering if we can still use the Disney transportation system (bus)to get to Disney Springs immediately AFTER checking out of our resort. So that we can then rent a car from one of the hotels in the Disney Springs location. Anybody can use Disney’s on-site transportation whether they are staying at a resort or not. However, the bus to Disney Springs won’t take you right to the Disney Springs resorts. You’ll either have to Uber/taxi there or see if they have a shuttle that can pick you up. Do you mean ‘Ohana at the Polynesian? Theres a bus from Hollywood Studios direct to the Poly. I’d allow at least an hour…theres lots to pass the time with at the Poly if you are early. Just curious – you mention going from Magic Kingdom to Hollywood Studios by bus. But, I read somewhere else you would need to take the monorail to the TTC and then a bus to HS. Can you clarify? There hasn’t been a bus to Hollywood Studios from the TTC for years, so I assume you just came across old info. I’m so happy to have stumbled upon this! This is going to be a life saver for our trip. It’s the first time staying on site. Thanks for putting all the work into this!! This is a fantastic website and super helpful! Thank you for your hard work! We are staying at Saratoga Springs in October and plan to use Disney transportation. Does the bus go directly to the theme parks from the resorts or does it stop at other resorts? On the return trip are there designated buses for each resort. This is our first time staying on site. I have a quick question. My family is going to Disney World in July and we are going to the Hoop-Dee-Doo Revue at 6:15. We are wanting to then go to the Evening Extra Magic Hours at Epcot. What is the best way for us to get there? Will the Epcot Monorail run back to MK after EMH? Wow Shannon! It’s like you read my mind. I’ll be in WDW in two weeks and was just trying to figure out the best ways between Epcot and HS- this tool is so very helpful! The Disney buses drop you off right in front of Magic Kingdom. If you want to ride the monorail, I’d suggest taking an afternoon break from Magic Kingdom and riding it around the loop (if you have time, you could hop off to check out the resorts) before heading back to your resort. If you have a car with you and have small children, you should drive to the parks. Our last trip we drove to the parks for the first time and my husband and I decided we will never use Disney buses again (until maybe our kids are older), it was SO much easier driving. It is a big nightmare trying to wrangle small children (sometimes sleeping) onto the bus, strollers, bags and then everyone is rushing you because they want to get on the bus. Between the waits, the hassle and sometimes having to stand holding sleeping toddlers. Taking the car for us, just works so much better, we can leave when we want in the morning, no waiting, slowly get our bags and stroller packed up to enter the park and on the way home we change the kids into pajamas and if they fall asleep in the car, we can take them into the resort room and put them right to bed. I’ve had to wake my sleeping children from the bus on the way home and try to make them walk off the bus, while I’m holding bags and they would start crying. We usually stay at CBR and it was about 20 minutes (max) from the resort to entering the park for Animal Kingdom, Ecpot and Hollywood Studios, Magic Kingdom takes a little longer, but probably the same as waiting for the bus and catching it. The only thing I would say about Magic Kingdom is that you want to be there early so you don’t have to take a tram to the Transportation Center. Then you can just roll your stroller onto the monorail. Parking is free for resort guests, so if you have the option to drive, I highly recommend it. Shannon, I know you are way out of the era of having small children, so I thought this might help some of the parents of small children. This will be my first Disney trip as a Mom and with three smalll children, avoiding the buses will make things so much easier. How do you know where to park if you are driving yourself? Is there a map somewhere? Also, what do you mean by “The only thing I would say about Magic Kingdom is that you want to be there early so you don’t have to take a tram to the Transportation Center. Then you can just roll your stroller onto the monorail.” I don’t quite understand this. I would love some advice on driving through WDW Resort with a car as I am considering driving from CA to WDW and am trying to decide if I should use the car to get around or use Disney transport. Thanks in advance for any help! I used to be scared about driving at Disney World but I’ve done it a few times since last summer, and it couldn’t be easier. There are signs everywhere. Parking is obvious and there are staff members standing outside to point you in the right direction as you drive to a park. The comment about Magic Kingdom is because people who drive to Magic Kingdom actually park across the water at the Transportation and Ticket Center (TTC) and have to take a boat or monorail over to Magic Kingdom. If you arrive early, you can park really close to the TTC. If you arrive later, you’ll have to park and wait for a tram to take you to the TTC. Will the Navigator take into account the new security procedures at the Magic Kingdom. I need to get from my resort to Wilderness Lodge for dinner and had planned on busing to MK then onto a launch. With the new procedures I’ll have to go through security before I can get to the boat dock,right? But Magic Bands will still be scanned up closer to the railroad station, I’m assuming, so it won’t “cost” me a day’s pass to use MK as a transportation hub. Thanks! I have recently ridden the monorail to the Magic Kingdom and then gotten on the boat to the Wilderness Lodge, without having to go through security. I am sure the same applies for riding the bus – you won’t have to go through security to get on a boat. I heard that they now have buses that go from the parks to Disney Springs. Can you verify that? I’m looking for the best way to get from Epcot to Disney Springs for a 3:45 reservation. Either take a taxi/Uber or walk out the International Gateway entrance/exit at Epcot (located near the UK pavilion) and head to the Beach Club for a bus to Disney Springs. How early do the buses start running? Looking for the easiest way to get from the Contemporary to the Boardwalk for 7:30am breakfast reservations. There aren’t any buses that go directly between resorts. You could walk to the Magic Kingdom bus stops and take the Boardwalk bus, or you’d need to take a taxi/Uber to get there. Thank you so much to everyone for your inputs. This is my families first trip to WDW and I been debating whether to get a rental car or use the shuttle. I don’t think I want to wait hours each day for their transportation and since I’m staying at WDW resort, I get a free parking pass anyway. I just booked a minivan for 9 days in June for $282 through Alamo at Orlando airport. I went through Costco if anyone is interested. Can’t believe I’m back on your site! Eeeek 🙂 we have planned a super last minute trip, and by super last minute, I mean like today, lol. You helped us tremendously on our 10 day trip last year so I’m hoping to reach out for a rescue now! We are leaving Wednesday and plan to go to MVMCP Thursday and Friday nights. We bought tickets for the party but are staying off site this time due to unavailability on site so last minute. We flew last time and solely relied on Disney transportation from POR, which worked out great. But because of that I’m not sure about transportation this go around since we are driving. I’ve seen the parking costs for MK. I’m guessing that applies for the party also. But we found an off site hotel that has free transportation to the ticket center at Epcot. My question is, what will it cost us to use the monorail from there to get to MK each day? And will we be able to get from MK back to T&T after the party each night? My daughter has her heart set on the monorail for some odd six year old reason, lol. I’m totally fine with doing it if it will work out but just trying to see if it makes more sense to just drive there and pay to park each night. Is there a way to get a cab (not uber) from Magic Kingdom to get to Pop Century? After a long day there we would like to get back to the hotel without any wait or hassle. If so, how much does it approximatly cost? Thanks for your help ! Thanks so much for this article. My wife & I just experienced this nightmare. She’s a die hard Disney fan. I, on the other hand, after tonight’s transportation fiasco, have decided that if I never set foot in Disney parks again, I would be ok with that. That being said, your comment about a transportation app is dead on. They have magic bands to track where we stay, where we go, and what we buy, but a transportation app to track where THEY are is too difficult? Get on the ball, Disney. Good point Jeff! This is my biggest concern when we go for the first time next year. How early does the transportations begin at disney springs in the morning ? If i Park there,will i be able to take a bus to a hotel and then an another one to go to a major park? We will be doing a split day between Epcot and Magic Kingdom (staying to watch Wishes). Any transportation suggestions are welcome. We will have a rental car at our disposal and not bothered with parking fees if this is a better option. My family and I will be staying at Bonnet Creek and going to Epcot on a Friday afternoon and evening in April. We want to watch Illuminations and then head over to the Boardwalk area to check out street performers, get ice cream, and hang out. But I’m stumped as to how we will get back to Bonnet Creek since Epcot will then be officially closed when we are done visiting the Boardwalk and we won’t be able to get back through to get to our car. I’m considering valet parking at Boardwalk Villas but I’ve read there is construction going on and parking is very limited there. Any other suggestions? You can move the car once Epcot closes. The hotels allow free parking if you are visiting. I think it is fun to utilize Disney’s different means of transportation and is just part of enjoying WDW! Our last visit on our arrival evening we left Pop Century by bus to the front of MK, where we then took a boat to Fort Wilderness. We went over to the Chip N Dale campfire and roasted Smores!! The boat ride over was nice. It was a smaller boat and we saw wildlife along the way before landing at a sandy beach area. Before we headed back to the hotel, we watched a light parade on the water and then saw the MK fireworks in the distance. So neat to check out different areas in WDW. This year I am going to take the bus from Pop to HS. Then from HS we will take the boat to the Intl Gateway entrance to Epcot’s World Showcase. I know this seems like a round about way of getting there, but I want to start WS from France so I don’t wear myself out before I begin my walk around the world!!! Belle is in France at 11am, so this should be perfect timing. I believe breakfast is available in France as well, so we me just get there earlier!! Getting there can be half the fun. Hi! We will be staying at All Star Movies for our upcoming trip and have a few transportation questions. We are going to Animal Kingdom but will have dinner at the Animal Kingdom lodge after Animal Kingdom closes. What do you recommend is the best way to get from Animal Kingdom lodge back to All Star Movies after we eat? We will also be going to Magic Kingdom but will have lunch at Chef Mickey’s over at the Contemporary. What is the best way to and from the Contemporary from MK (I wasn’t sure if the monorail went straight to and from or if we will have to ride the whole place)? Thanks!! I would recommend taking a bus from Animal Kingdom Lodge to the Transportation and Ticket Center (TTC), and there you will be able to get a bus to your resort. The monorail does go directly from Magic Kingdom to the Contemporary Resort. Hi, I’m so stressed over making it to my ADR on time after my daughters BBB appointment. The appointment is at DTD BBB @ 12:30 and our ADR Akershus is at 2:45. We will have a car, but I see on the map that the taxi station look very close to BBB as compared to the parking garage. Should we plan to taxi it? I’ve tried pushing back my ADR with no success and BBB is full on that date as well, so I have to make this work. We are staying at beach club the first week in December. I’m debating getting a park hopper only for the purpose of being able to use the monorail to get back and forth faster from Magic Kingdom. Is this even feasible? I’ve been told that we should plan on about an hour to get from beach club to magic kingdom by bus. We will be traveling with a 2 year old and will need to go back to the room to take a nap. If it truly is an hour one way that will be almost 4 hours of bus travel time per day!!! We are going to epcot one day then Mikey’s Magical Christmas Party that night. I just read that the monorail won’t run during the Christmas party because technically the park is closed!! I am also unsure how long a walk it is to Beach Club to the monorail stop within epcot. Thanks so much for helping this distraught momma figure out this issue!! The Beach Club is a great location for Epcot and Hollywood Studios. You can walk to both or take a boat which is not long and fun. The monorail in Epcot to the Transportation center than another one to Magic Kingdom is located at the front of Epcot. The entrance you will enter staying at the Beach Club is at the back of Epcot. You will need to walk the distance from the back Epcot entrance to the front entrance and then take the monorail and switch at the transportation center. I would do this to go to the party and after the party, just take the bus back to the Beach Club. It will be late and your little one may be sleeping by that time. I like the option of Park Hopper because you can go to Hollywood studios half a day, take a nap or go to the pool and then go to Epcot at night by just walking. Have fun. What about park to park buses? If I want to go to Downtown after day in the Studios do I have to go to a resort and transfer to a HS bus? 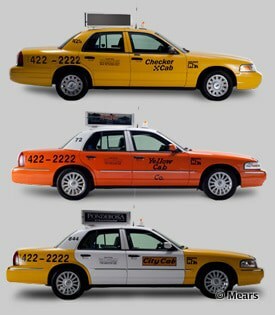 I love the idea of taking a taxi back to our hotel after fireworks and park closings. Your podcast mentioned that the cabs will be lined up for passengers to jump in, but do you happen to know if these “ready to go” taxis have booster seats? Or, do you know what the FL laws are for the ages/heights/weights that children no longer need the booster? I have 5 and 9 year old boys, so I’m not sure. We own a timeshare and are trying exchange our week to stay at a Disney deluxe resort. We realize this may not happen and need a plan B. We were looking into several resorts that are within walking distance of Disney resorts. Can we just walk over in the mornings and take buses to the parks we wish to attend? I have heard that the bus drivers require you to present your room card to ride in the mornings but we have never experienced that when we previously stayed on property. Any advice or help would be great, Thank you! That map would make a great t-shirt graphic! I am staying at Caribbean beach and made dining reservations at the Boardwalk. What would be the quickest/easiest way to get there? I know they are close, but I honestly cannot remember seeing buses from our resort to the Boardwalk. They are really close but there’s no direct transportation to get between them. I took an Uber to do that on my last trip. I am staying at Art of Animation in mid September. I have a dining reservation at chef mickey’s at 7:45 am. Will i be able to make it on time taking Disney’s transportation or do i need to get a taxi? It sounds like a lot of transfers and if everything starts running only an hour before the parks open I’m worried i won’t have time?! We will be staying offsite memorial day weekend and driving to magic kingdom. How early do we need to be headed to MK to beat crowds and make it to Rope Drop? Is 7 am early enough to make a 9 am opening? How bad can we expect traffic to be? How early do the ferries and monorail operate? My Wife and I love your site!! My Question is, are we able to take a Cab to the MK or would we have to go to the Disney transportation center? I have two questions. My first one is how do I get to Epcot, Magic Kingdom, and Animal Kingdom if I’m staying off site? My second question is what is the fastest way to get from Animal Kingdom to Hollywood Studios? Thanks! By the way we will have a car. Thanks! How do I get from Downtown Disney to Epcot? I would walk out the International Gateway (between the UK and France sections) and go to The Beach Club resort bus stop and catch it from there. My granddaughter has an appointment at the Bobbity Boobbity in Downtown Disney, how do you suggest we get there and back to Magic Kingdom? It depends on where you are starting from. If you are starting out at your resort, then take the bus to downtown Disney. Then, when leaving, take a bus to one of the Magic Kingdom resorts, like Contemporary, Grand Floridian, or Polynesian. Then you could get on the monorail that would take you to Magic Kingdom. We are visiting WDW during Spring Break (very crowded). We are staying at the Contemporary Resort & will have a rental car. To get to areas other than MK, is it faster/better to use Disney transportation or just drive ourselves to Epcot, AK, HS, etc.? It’s always faster when you drive, especially during crowded times. You may have to wait on the buses a little longer during times like Spring Break. It just depends on the time and your preference. We have done it both ways. If you take the bus, you don’t have to worry about parking and then getting on the tram to take you to the gate. If you are staying on Disney property, you will not have to pay to park your car. It all will depend really on your preference, but in my opinion, driving is quicker than the buses. We have breakfast reservations at Tusker House in Animal Kingdom but later in the day we are hopping to Magic Kingdom. Animal Kingdom closes at 7 but Magic is open till 9 or 10. If we take a bus from AK to MK, can we take a bus back once MK closes or is it best to drive? ALSO if we drive, do we have to pay parking again? If you stay on Disney property, you will not have to pay for parking at any of the parks. Also, the buses run a couple of hours after park closing. You will be able to get back to your resort without any problem; maybe just waiting. My family and I (four of us) are staying at the Hilton Lake Buena Vista right by Downtown Disney. We are checking in on Christmas Eve and going to the Magic Kingdom on Christmas Day. I booked the hotel with points so I didn’t have much choice in where I was staying as we planned our trip late. I believe the Magic Kingdom has early morning hours on Christmas day opening at 7:00 am. We would like to be at the front gate at 6:30 am so we can get in as early as possible. I am told the hotel’s bus transportation doesn’t start picking up until 6:30 am so I am wondering what our best alternative is to getting over to the MK early. I am considering driving, taking a cab, or if the Disney Transportation started up early enough catching a bus at Downtown Disney. Can someone provide some advice? If we have a toddler and an infant, do the taxi services provide proper carseats for them? The vans usually keep at least one in the back but you can call ahead to request a taxi and request 2 for your family. For our first trip – 2013 – I panicked about transportation for the week- not knowing what to expect. in addition to WDWPrep stuff, my best tool was the OLP Transportation Wizard app- TWiz for short. You select your starting point and destination in WDW and it provides a list of recommended transportation options and the expected time to use each form of transportation. I used this very successfully to make decisions and to know which forms of transportation were available for each route. The app is available for both iOS and Android. It’s worth a try if you’re new to WDW! We stayed at Riverside last time and our room was old and dirty. I have heard Riverside has something called “Royal Rooms” that are nicer/newer. Is that true? John yes thats true. The royal rooms are geared more towards little (or Big) princesses. There is only a 2 bed option since it is geared towards families. The rooms have a bit of a story line that makes them extra special. The story line is that the room belongs to one of the Disney Princesses and some of the other Disney royal couples have given gifts that decorate the room. Its pretty adorable. You can always go to YouTube.com to see a room tour. Do you have to reserve the taxi ahead of time or the parks have designated taxi areas? Now, on our last night, we are having diner at 1900 Park Fare and wanted to go straight back to the hotel to finish packing & resting up for a long drive home the next morning. Would it be best to just drive our own car from AoA to GF? DH is doing most of the driving home, and is reluctant to spend more time behind the wheel than absolutely necessary! Once you take the bus to MK, the Contemporary is a less than 10-minute walk from the MK front gate. There is a boat that travels directly from Fort Wilderness and the Wilderness Lodge to the Contemporary. Your Chef Mickey’s reservation will be easy! From Art of Animation to the GF, it will be easiest to drive there, but you could also take the bus to the MK and then boat or monorail to the GF. Be sure to add at least 1.5 hours for transit if using Disney transportation between resorts. Arthur Wolf’s map is great. I downloaded the PDF file and printed it using the poster option on my printer, Epson Artisan 725. It printed on four 8.5X11 sheets. I need to trim borders and tape them together but I now have chart/map that is 16.5 high X 18.25 wide. I have a suitable tube so I can pack it and take with me. Hi, Shannon what is the best way to get to downtown disney from AOA? You use buses to get to everything from AoA. This is a great article and map. This is my first trip on property and I am very nervous about using the Disney transportation exclusively. The only thing that is stumping me is on our first night we would like to watch the Magic Kingdom fireworks from the Polynesian. Can we go back to Pop Century via Hollywood Studios even if they would have been closed for over an hour before? I want to avoid the crowds coming out of Magic Kingdom. Quick question for you about transportation. We are staying off sight and driving our own car. We were thinking about parking at Downtown Disney and just taking a bus to get to the parks. I know that the buses don’t go directly to the parks from DTD. How long would it take us to get from DTD to MK/Epcot/HS taking the buses? Is it worth the time or should be we just pay for parking at each of the parks? So I am curious as to what did you do? I’m currently in the same situation heading there in June and I’m also wondering is it better to pay to park or can I save money since it seems like you have to take buses or monorails to get to the parks from the parking lots?! Please help I’m a single mother of three so that’s $80 I could spend in the parks instead of to park. Thanks! I have a transportation question. We just booked a 4:15 reservation at BE OUR GUEST on Friday May 9th. I have heard there are long lines for this place. How long would we have to possibly wait? Also, being the last day before our departure, staying at the Port Orleans we would like to use a monorail after the dinner at BOG. Our kids would have been taking a bus all week, would it be a good idea to take it to Epcot and catch the Illumination fireworks at 9 p.m. and then take the bus to Port Orleans after the fireworks. Is this something that a lot of people do when at the BOG? What are the pros and cons about doing this and how long does the monorail take? So is there some sort of general taxi service that is most recommended at WDW (Will need one from Poly to Beach Club), or are there some waiting around at resorts at all times? There’s a button on the phones in the resorts that connect you to the taxi service. I’d call ahead of time (like the night before if you need one in the morning) and they’ll be waiting for you. Re Disney buses versus taxis in terms of ADRs. I noticed after I booked our ADRs that the confirmation says to leave 90 minutes travel time. In your experience, could I cut this short if we were simply taking a cab? 90 minutes on a bus with a toddler = a bad scene. We budget 90 minutes and the trip only takes 20? Then we have a hungry toddler for 70 minutes. Another bad scene. This site is ENORMOUSLY helpful! I would do 45 minutes. You still have to go through bag security at the entrance to the parks, get in the line for reservations in front of the parks and walk to your restaurant. If you happen to be a bit early, you can still check in and maybe be seated early. Hi, I’m staying in Lake Buena Vista not too far from Downtown Disney what is the best way to get to the parks? Does your hotel have transportation to the parks? We plan to be at Animal Kingdom in January, staying till it closes at 5 PM and THEN going to Boma to eat. It seems going to AK to get a bus back to POP Century would not work for us, since AK will have closed. Any thoughts about how to get back to our resort? Take any bus that arrives at AK to go to a theme park or Downtown Disney and then get a bus back to Pop. Or a taxi which will be much quicker. Thanks so much for this page. I have only been to Disney once when I was a kid, and now making HoneyMoon plans to stay there. So, this is my first time going to Disney where I get to plan everything out. I printed this out to help me come up with our traveling plans for our stay. Very informative and extremely helpful. Thanks again for taking the time to post this! Hi! I have a question about transportation. If we are staying at the Boardwalk Inn, and we want to make sure to ride the monorail, what would you suggest? I have seen some comment boards that suggest getting to the travel and transport center, but that seems so far away from the Boardwalk. Any advice you have would be great. We had this same situation when we stayed at The Boardwalk. I would just get on the monorail when you leave Magic Kingdom. If you want to get off to visit the resorts, take the resort monorail. If you just want to go around the loop once, take the Express monorail all the way around. 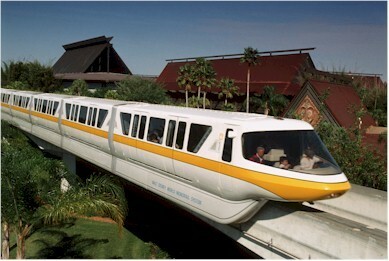 Another option would be to take the monorail when you leave EPCOT. Exit the front of the park and take the monorail over to the TTC. From there, you can take the resort monorail or express monorail. You can take the bus back to The Boardwalk from Magic Kingdom if you like. Hi! Thanks for the great info. My family and I will be driving to Orlando for our first trip to WDW. We are staying off site, will have our own car, and are planning to drive to the theme parks everyday. On the day we plan to visit Epcot, we booked an appointment for our daughter at the Bibbidi Bobbidi Boutique in Downtown Disney for 12 noon. The plan is to do RD, tour for a couple hours and then head to her appt. How long should we allow for travel and what is best way to get there from Epcot. We plan to return after her appt for more touring and dinner at Akershus. Thank you so much! I would make the reservation for the one at MK for a day you are touring there. Seems like tons of wasted time leaving Epcot? I’m not an expert though. Hi, Shannon! Thanks for the great info! My family is driving to WDW for our very first trip in May. We have a Bibbidi Bobbidi Boutique in Downtown Disney for our daughter on a day we plan on touring Epcot. We will be staying offsite so we will be driving our own car. We plan to be at the park by RD, touring for a couple hours, leave for her appt at 12, and come back after for more touring and dinner at Akershus. What is the best way to get to Downtown Disney from Epcot and how much time do we need to allow for travel? Thanks so much! We are planning on driving to Disney. We are staying at the Caribean Beach resort. Would you reccomend driving to most resorts from there or taking the bus? I was going to ask the same question…we will be driving to Disney over Thanksgiving for our first trip. We will be staying at Port Orleans Riverside. I feel like driving ourselves would be easier…what do you think? None of our group has been before. I’d recommend NOT driving to Magic Kingdom as that would actually take longer due to the way the parking lot is setup. It’s probably quicker to drive everywhere else (other parks and definitely to other resorts) than to take the bus. Ok, I appreciate the warning. Shannon, if you made a transportation calculator, I would trust it completely! I don’t recommend that tool because it often gives inaccurate info. I’ve debated creating my own but the task is daunting. Maybe someday. Similar to the tip about going to the nearest theme park to get to a resort… if you’re trying to get to DT Disney from a Park, go to Saratoga Springs or Port Orleans. You can walk from Saratoga, or take a ferry from either location. My family is staying at CBR, I made dinner reservations at the Polynesian Resort and plan on watching the MK fireworks from the beach afterwards. I wanted to make sure I am understanding your explanation correctly. After the fireworks are over is it best for us to get on the Monorail back to MK or Epcot to get in line there to catch a bus back to Caribbean Beach Resort? Or get a taxi back to CBR from Polynesian? Yes, you should get to MK and catch a bus or get a taxi from the Poly to CBR. You should be able to arrange a taxi ahead of time to arrive at a specific time to pick you up. Great article and map! I have found that when I cannot figure out a transportation plan I use the Disney Mobile Magic App. It is not always the BEST route but it is passable when you simply cannot figure out how to get from A to B!